Torah 101 Daily is a day by day audio devotional through the first five books of the Bible, in one year. Join Bible teacher and Jewish believer Rob Glickman as we follow the ancient weekly reading schedule (the parashot) with commentary and insight that will relate to people of all backgrounds, but especially Christians seeking to reconnect with the Jewish roots of their faith. 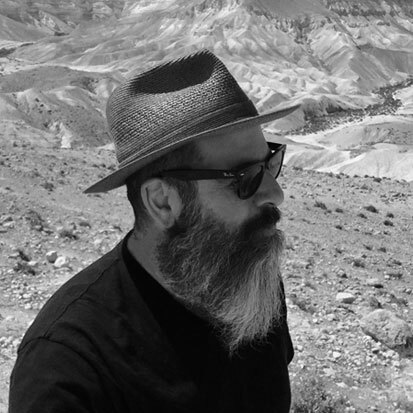 Rob Glickman is a Bible teacher, lecturer, former working musician, and an advocate for the Jewish people and his ancestral homeland, Israel. Rob began playing music professionally in nightclubs and concert halls at the age of 16, sharing the stage with such bands as The Clash, UB40, Madness and later, Johnny Winter, Leon Russell and The Coasters. He has also served as Chaplain with the San Diego Police Department and was part of the emergency response team in New York City during the 9-11 World Trade Center tragedy. Rob has a passion for teaching through the Bible verse by verse, chapter by chapter, while bringing out the Jewish personality and Hebraic roots of the Scriptures. Rob lives in the San Diego, California area with his wife Tori, and their two children.